One package of 8 Minnie Dream Party Dinner. Serve the most delicious birthday party treats on these sweet Minnie's Bow-Tique Dream Party Dinner Plates. These sturdy paper plates are the perfect size and feature a curved lip for less mess! 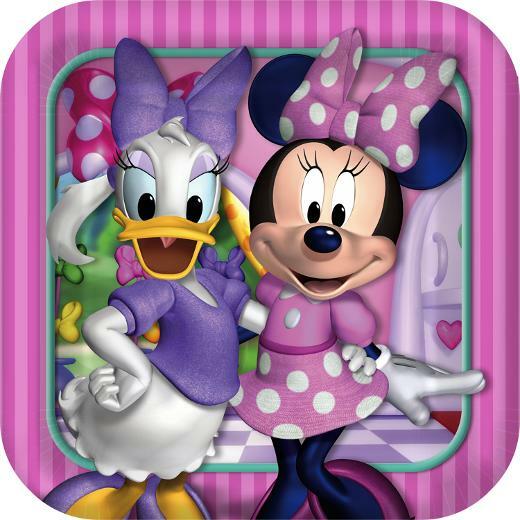 The always adorable, Minnie Mouse and Daisy Duck, will add a touch of Disney cuteness to any birthday party. This is a licensed Disney product. L: 9.25 in. W: 9.25 in. H: 0.6 in.